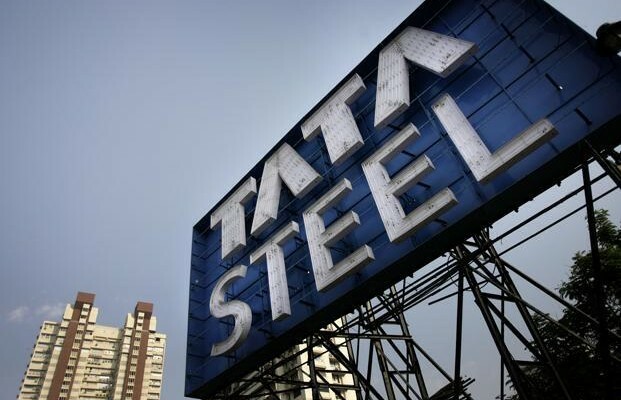 Tata Steel is set to announce later that 1,200 jobs are being cut at its plants in Scunthorpe and Lanarkshire.They are the latest in a series of job losses across the UK steel sector and follow news that administrators have been appointed to parts of Caparo Industries’ steel operations. The industry blames cheap Chinese imports for a collapse in steel prices. Prime Minister David Cameron has said he will raise the issue with China’s presidentduring his UK state visit. The jobs going at Tata Steel are in part of a division that the company failed to sell earlier this year. Buffeted by collapsing prices and the strong pound, Indian-owned Tata has decided to cut back its UK operations. Most of the jobs will go in Scunthorpe, which employs 4,000 people and is one of the UK’s largest steel plants, but two mills in Lanarkshire will also be affected. That has raised concerns about the future of the industry in Scotland. The plants under threat are the Dalzell plate rolling works in Motherwell, which opened in 1872, and Clydebridge, in Cambuslang, which has been operating since 1887. The plants became two of the giants of Scottish industry, with Clydebridge providing steel plates which were formed into many of the most famous ships built on the River Clyde. The industry was at the heart of many Lanarkshire communities and Motherwell Football Club still use the nickname “the Steelmen” in tribute to the workers who supported them. John Park, assistant general secretary of trade union Community, said: “The significance of this is that it could be the end of steel production in Scotland. In the 1970s, more than 200,000 people were employed in the UK steel sector, but the number now stands at just 30,000. Unions say that one in six of those jobs is now under threat. The collapse into administration of parts of steel processing firm Caparo on Monday followed the closure last month of the SSI steel plant at Redcar, with the loss of about 2,200 jobs. The industry has blamed a flood of cheap steel being dumped on the global market by Chinese manufacturers. But Roy Rickhuss, general secretary of Community, said: “We have had a succession of ministers, and now the prime minister, saying that they will ‘raise’ the issue of Chinese steel dumping, which we know is impacting on the UK steel industry and the global steel price.